Sonia Singh, the artist behind Tree Change Dolls, found a way to give new life to neglected dolls. She removes face paint from used dolls and gives them a fresh look. (Video: DIY Factory Face Paint Removal Parent supervision is required.) Inspired by these dolls another woman, Wendy Tsao decided to take the idea to another level. 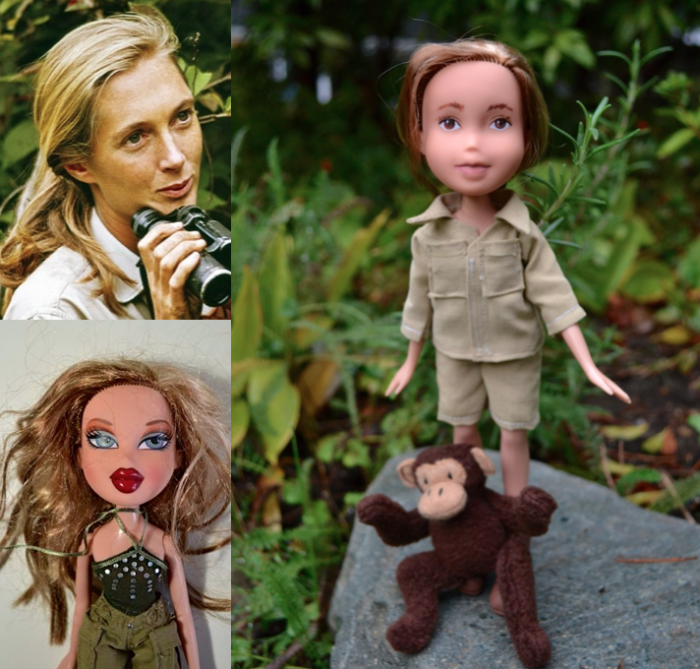 She recycles dolls and models them after heroic women like Jane Goodall and Malala Yousafzai. Check out her creations here, Mighty Dolls. Choose any inspirational figure and fashion a doll as a reminder of the attributes he or she most admires.